A bit less than twenty years ago, my father added an unusual car to his collection. He has always been a “car guy” with a bent for European sports cars. When I was a kid, he drove creaky, leaky MGs mostly. After I left the house he tried a Corvette, and a Porsche 911 for a while. (The latter even tried to kill him once.) When he retired, he upgraded to Jaguars and Mercedes-Benzes mostly. His summer play toys that he participated in dozens of vintage car tours and rallies. I was lucky enough to be his co-driver on most of the competitive rallies (as long-time readers of this blog know.) The Mercedes were a nod to my mom, who loves the marque, as it seems most “women of a certain age” tend to do. A couple of SLs from the 50s and 70s rounded out the collection. His last acquisition though was… unusual. It broke his collecting pattern. He emailed me a grainy low-res photo of the car and I laughed, thinking he was pranking me. No svelte two-seater this time. 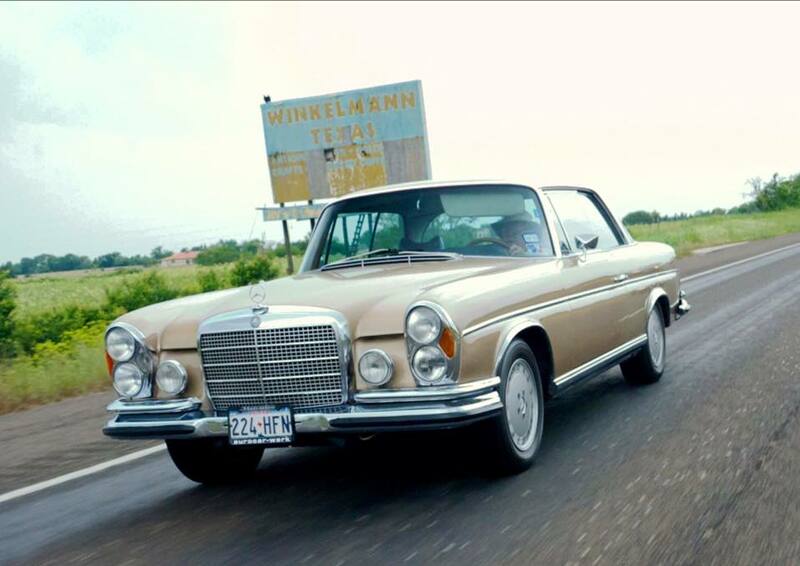 It was a big, brown W111, aka a 280se. But, he wasn’t joking. He had bought a 1971 280se 3.5 Coupe. It was a two-door early S-class. Truly a Dentist’s car. He and my mother drove it not only in vintage car events, but to-and-from Vintage car events all over the continent. From their home base in Texas, to and from Arizona, West Virginia, New England, etc. The car had two things his sports cars did not: Luxury comfort for long-distance cruising, and working Air Conditioning. This latter feature was a boon for events in the Southwest, such as The Copperstate 1000 in Arizona, and the Texas 1000. My father is a man who knows his limitations and he wanted to give up towing vintage cars on trailers around the country. The 280se 3.5 Coupe was just the ticket. Vintage style, and cool luxurious comfort combined. As my father aged, he sold off the collection bit by bit. I bought the E-type from him in 2003 (to keep this kernel of his collection in the family!) and helped him sell his XK-120 online to a buyer in Europe. His other cars sold off, but the big brown Coupe stayed. For the past five years it has been in a family friend’s workshop in Brenham, TX, keeping company with race cars, Ferraris, and Jaguars. I even flew down to Houston about the time it went into storage to shoot several dozen photos with the intention of listing the for sale car on the then-nascent Bring A Trailer website. It always was delayed for some reason or another. Mostly my father knew the car had some small, but annoying issues he wanted to fix prior to a sale; slightly loose steering, a wiggly driver’s seat, an A/C recharge, etc. He is just that kind of guy. Then, last year my parents sold the house they have been living in for over twenty years. All their belongings were distributed to kids and grandkids, with the remaining collapsed into an apartment. Then, as they were unpacking in the apartment, my mom had a stroke. Up until that point, my dad was the one with mobility issues. Now my mom too. The plan now is to move into an assisted living complex, and they are once again paring down their possessions. Dad told me it is time for the big brown coupe to get sold. Testa Rossa and I flew down to Houston last week, and spent five days visiting my folks, and my sister and her family. We picked up the 280se, and are driving it home to Bend. Once there, I’m going to finish the job of photographing the car, namely the underside and other details, using the lift in my shop. Then it is going on BaT ASAP. The story behind the 65E.